If I Find a Snake, What Do I Do? “Hi, I’m a non-venomous Eastern Garter snake and am very helpful to people. I eat the following pests: slugs, mice, voles, grasshoppers, crickets and other insects. I can also be eaten by these critters: birds, turtles, raccoons, and frogs. 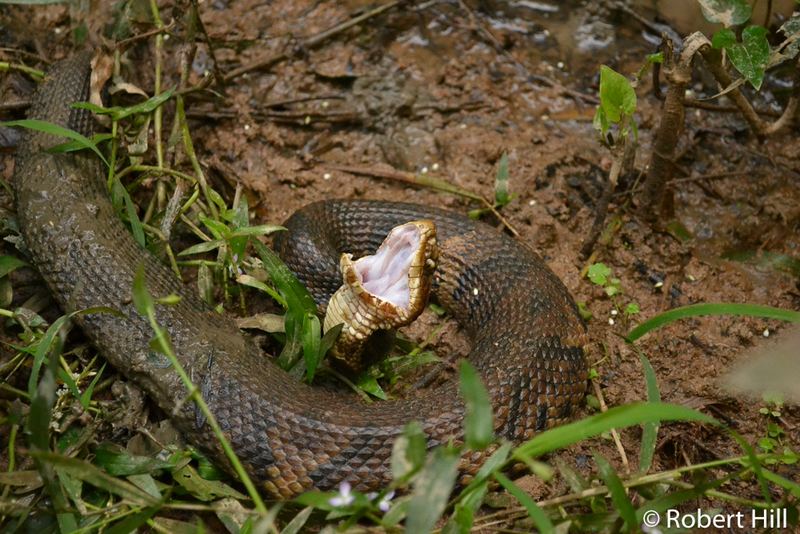 The Dekay’s Brown Snake and Northern Water Snake are the ones that are most likely to be misidentified as venomous. The Georgia Department of Natural Resources (DNR) has a good reference page on ‘Snakes of Georgia and South Carolina‘ . On it they say Georgia is fortunate to have among the highest biodiversity of snakes in the United States with 43 species. 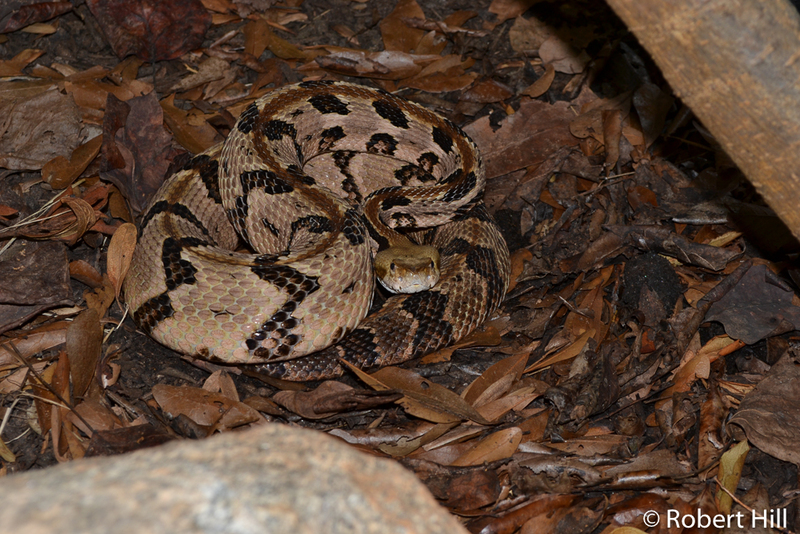 Snakes can be found from the mountains of northern Georgia to the barrier islands along the Atlantic Coast. Of these, 37 are non-venomous. The DNR web page will point you to an excellent reference page  by the Savannah River Ecology Laboratory, which is run by the University of Georgia. The head of their outreach program is Whit Gibbons who is one of the authors of an excellent book called Snakes of the Southeast  (Mike Dorcas is the other author). We list it on our ‘Books We Like‘ page. Look at your feet, watch where you step and do not put your foot in or near a crevice where you cannot see. Do not step or put your hands where you cannot see. If a fallen tree or large rock is in your path, step up onto it instead of over it. Check out stumps, logs and rocks before sitting down. The Cottonmouth comes to close to Atlanta proper, but stops just south of the city near Jonesboro and appears to the north again in Bartow county. Timber Rattlesnakes are all but exterminated within the city limits, the closest population I know of being at Sweetwater Creek State Park. I’ve heard of the odd sighting of timbers here and there in Brookhaven, but I haven’t been able to find any viable recent records. The Pygmy has also pretty much been exterminated as well although up until fairly recently there was a viable population in northeast Gwinnett, however I think that population has completely blinked out. There are some still north of Atlanta in Cherokee county I believe. Copperheads are obviously pretty much everywhere and are pretty abundant within the city limits. Scientists have theorized that humans may have an innate reaction to snakes, which was vital for the survival of humankind as it allowed such dangerous threats to be identified immediately. Aside from innate fear, people mostly worry about venomous snakes and the danger from their bites. Scientific illustrator Liz Nixon made this info-graphic about venomous snakebites and gave us permission to use it. (click on the graphic for a larger image). At the bottom you can see that she gives credit for much of the factual content to a post titled ‘The Truth About Snakebite‘ from the blog Life is Short, but Snakes are Long . Check it out; there is a lot of good information here and you’ll notice the blog author references Whit Gibbons and Mike Dorcas, authors of Snakes of the Southeast .